It's the day we've all been waiting for - August 29. The day O2 and Vodafone launch their 4G services in the UK to finally give some form of competition to EE, which has been going it alone since October last year. It's not all good news though, as O2 is initially launching its LTE service in just three cities to start with - London, Leeds and Bradford - while Vodafone is being even more conservative by starting its service off in the capital only. Both Vodafone and O2 have committed to bringing their 4G service to a total of 13 cities each before the year is out, but they are still going to be some way off EE which hit the 100 cities and towns milestone - and thus 60% population coverage - yesterday. As with EE anyone looking to jump onto O2's or Vodafone's 4G networks will have to stomach the premium cost the networks are attaching to the service, which claims to offer speeds up to 10 times faster than 3G. 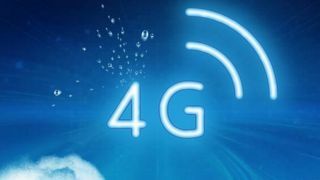 Of course we're still waiting for one more network to join the 4G brigade, and Three confirmed that it would be arriving even later to the party with its service launching in December this year. Crucially however, Three won't be charging customers any extra for 4G which could well give it an advantage over the trio already peddling it. If you're not lucky enough to be in one of the cities currently benefiting from 4G then just hold tight, as all four networks will continue to roll out the super fast network to more regions next year, with 98% of the country covered by the end of 2015 - although EE reckons it'll have this done by the end of 2014.